FREMONT, NE (March 18, 2019) – Record flooding that has ravaged much of the Upper Midwest turned this town of 25,000 people into an island for the past few days. Kitty Hoden, who is a nurse in the cardiac catheter lab at Fremont Methodist Health Hospital, wound up working extra shifts that meant long hours over the weekend because none of her coworkers could make it past the rising water. She and other nurses helped wherever they were needed in the hospital, addressing needs that weren’t always medical. Some distressed patients hit their call lights because they had heard their homes were underwater, and they needed someone to talk to. “I just tried to be a listening ear,” Hoden said. The area emergency helicopter, which is stationed at the hospital, has been flying almost nonstop transporting medical personnel back and forth from the hospital as well as retrieving patients, said Hoden. Two of Hoden’s coworkers spent two nights at her home. They were among the thousands of people across the region who have been forced into shelters or are staying with friends and relatives. The flooding was due to the “bomb cyclone” that dropped one to three inches of rain on top of massive amounts of snow that had accumulated, according to the U.S. National Weather Service. As the snow melted, the water was unable to sink into the hardened soil and ran into waterways and sewage systems. A state of emergency remains in place for Nebraska, Iowa, and Wisconsin. Government officials have said they expect the cost of damages to reach into billions of dollars. The ECC Love Mercy Do Justice mission priority has been in contact with Midwest Conference superintendent Tammy Swanson-Draheim as they consider possible ways to help people affected by the disaster. Covenant pastors in the area say they believe the flooding will force some farmers who have already been hurt by the struggling agricultural economy to sell. Dan Springer, pastor of Pender Covenant Church, said, “We have at least one of our farmers whose land was underwater as well as the road leading into his place.” He added that several people in the community had to be evacuated and are just now getting back into their homes. 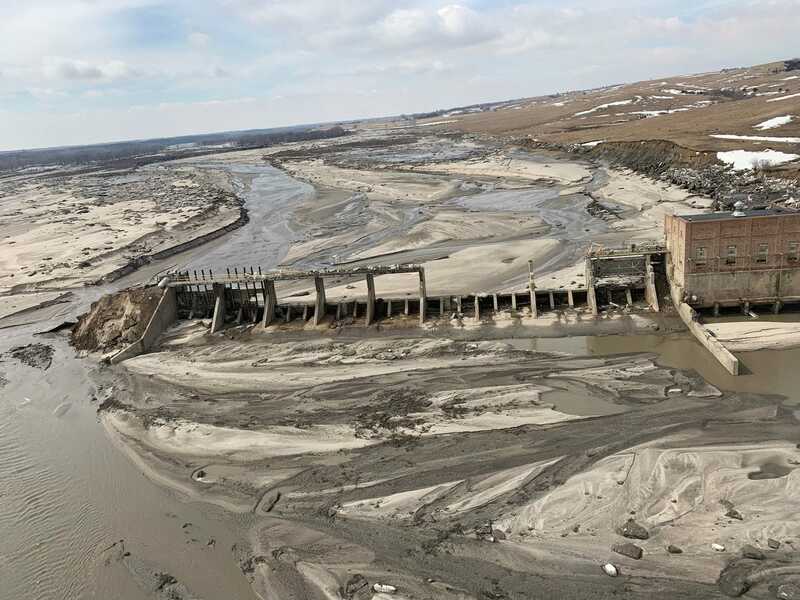 “Unfortunately, many of the people who are dealing with this damage had just finished the repairs from the flooding we had earlier this summer,” he said. A levee break triggered flooding near Bristow. John Wentworth, pastor of Rosedale Covenant Church near Bristow, said at least half of that community was under water. The church is located about five miles outside town and was not affected. But they canceled Sunday’s service because the flood had damaged the water lines serving the county. “Many of the roads also are washed out and muddy,” Wentworth said. Instead of worshiping together, they held a service via Facebook Live on Saturday night. The video has had at least 400 views. Help will be needed for a long time throughout the region, however. Mary Pinley, pastor at Stromsburg Covenant Church, said no one in their congregation had experienced flooding, but members were considering how they might be able to help others in nearby communities. The flooding has hurt families beyond their material possessions. Kejr said one couple in the Omaha First Covenant Church was unable to attend their granddaughter’s wedding because the roads were underwater.